A pair of former Tennessee football players who played significant roles on two of the more memorable teams in Vols history died Thursday, one in Knoxville and one in New York. Daryle Smith, a Knoxville native and former lineman who started at offensive tackle for the 1985 SEC and Sugar Bowl championship squad, died at UT Medical Center. He was 46. 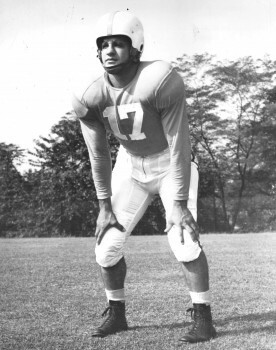 And Joe Maiure (MUR-ee) died in Poughkeepsie, N.Y. Maiure was a UT blocking back and defensive back who lettered three seasons, including 1950 and 1951 squads that produced national championships. Originally from New Kensington, Pa., Maiure was known for his excellent work in the defensive backfield under legendary head coach Gen. Robert R. Neyland. The Vols combined for a 29-4-1 record during Maiure three seasons, winning one SEC crown, finishing second twice, claiming a share of the 1950 national title and earning consensus honors in 1951. 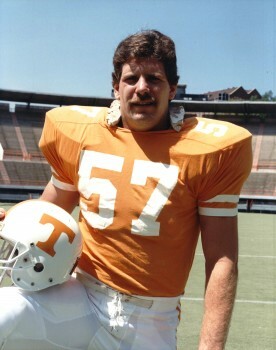 Smith lettered during the 1984-86 seasons at UT, appearing in 11 of his 24 career games for the 1985 team that won Tennessee’s first conference title in 15 years. The “Sugar Vols” capped that magical season with a 35-7 victory over Miami in the Sugar Bowl. Injuries then limited Smith to just eight starts during his senior season of 1986. He went on to sign a free agent contract with the Dallas Cowboys in 1987, playing two NFL seasons there, one in Cleveland and three more in Philadelphia before crossing over to the Canadian Football League. Smith played single seasons with Toronto, Sacramento, San Antonio and Winnipeg before retiring after the 1996 campaign. The Powell High School graduate returned to live in the Powell community of Knoxville after his playing days. He served for a time on the Powell High School coaching staff. Smith was employed by Steel Light Construction of Sevierville. Memorial service is set for Saturday at 7 p.m. at Mynatt Halls Chapel, with Jim Branch officiating. The family is receiving friends there Saturday from 5-7 p.m. The plural form of letterman is lettermen! 5 concerns from spring practice..